Flooding is the 2nd leading cause of death in the United States based on a 30 year average. 6 inches of water can cause loss of control and possible stalling of cars. 1 foot of water will float vehicles. 2 feet of rushing water can carry away most vehicles including SUVs and pick-ups. Do not attempt to drive through a flooded road. The depth of the water may not always be obvious. The road may be washed out under the water, and you could be stranded or trapped. 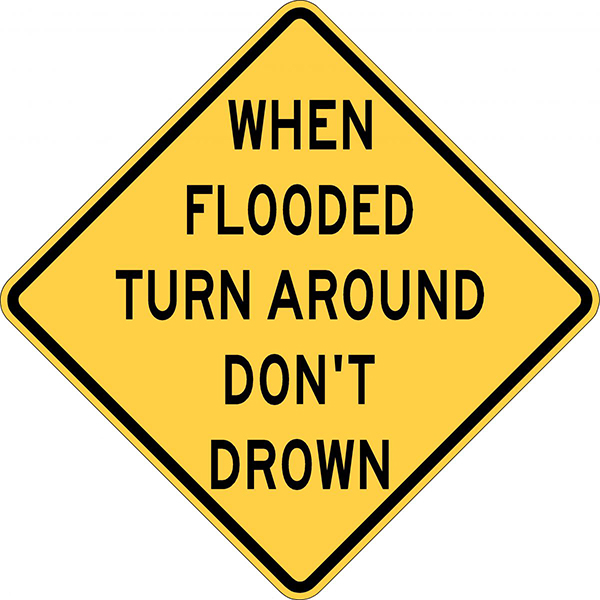 Be especially cautious driving at night when it is more difficult to recognize flooding conditions.